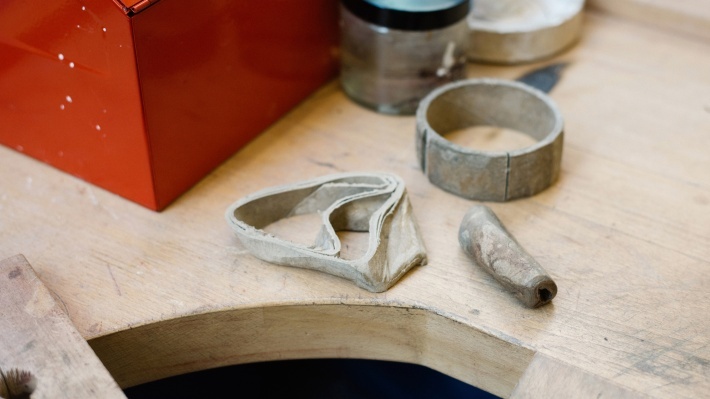 Caroline Broadhead’s life in jewelry, ahead of the exhibition at Vitsœ’s Munich shop. 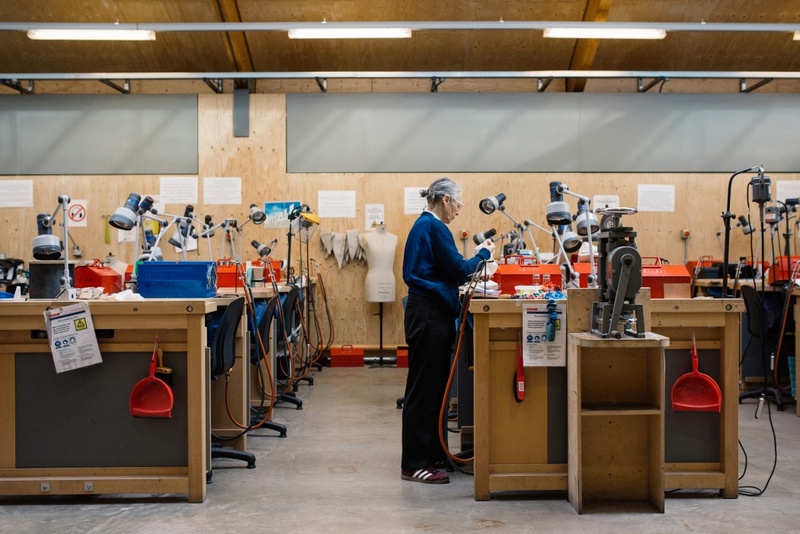 It was just before term time at Central Saint Martins in London, giving Caroline Broadhead a rare moment of calm from her busy role as course leader on the college’s BA Jewellery Design course. With work benches empty, and nothing to distract her besides the distant hum of an industrial extractor fan, she prepares for exhibitions in the spring. 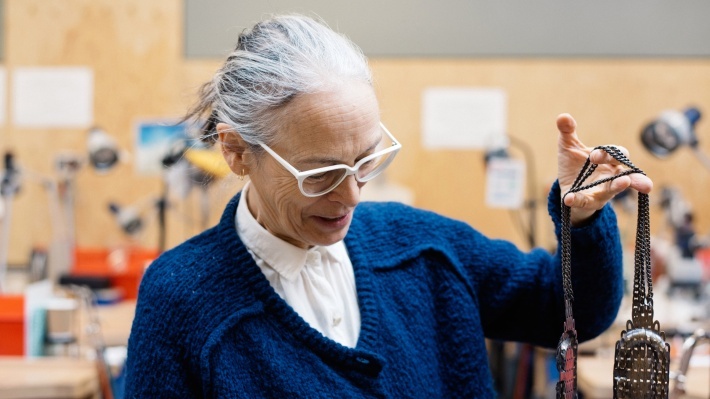 A renowned jewelry designer in her own right, Broadhead’s more than 40-year career is being recognized with a retrospective show opening in the Netherlands in February. 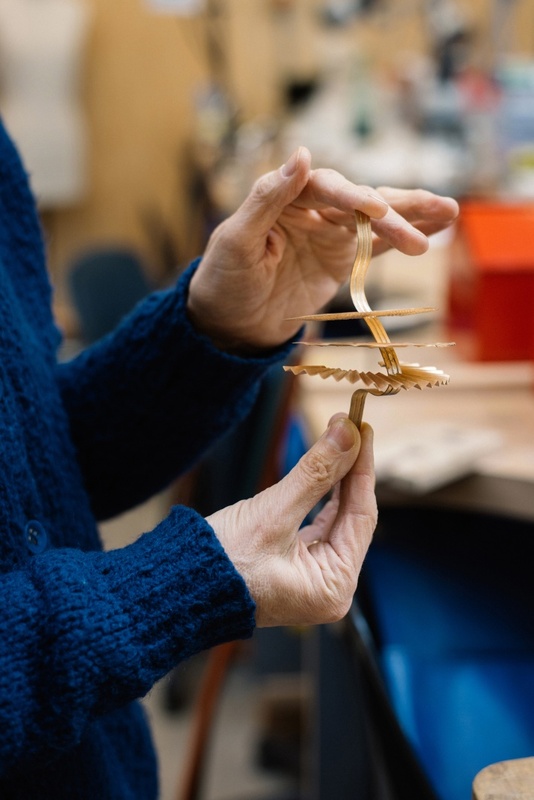 She is deftly juggling this with the curation of works from students and staff for CSM’s annual inclusion at Munich Jewellery Week at Vitsœ in March. 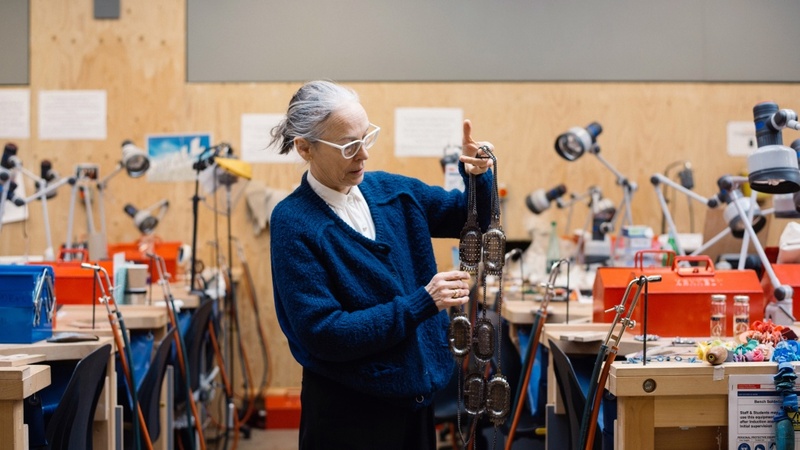 As a child, art was her favorite subject but jewelry-making took her interest when a ceramics teacher at a progressive school in Devon encouraged her to make a pair of metal and enamel earrings. With a grin, she recalled, “the freedom in the arts and crafts area was one of the best things about Dartington Hall School. I was always pottering around in the art department – I was no good at anything else. “Oh it wasn’t ‘Covent Garden’ then! Nobody knew about it. When we said we’d started our own business there, people would ask ‘where is this Covent Garden?’ It had the Opera House and the fruit market, so it was okay if you knew about either of those, but otherwise, it took some explaining. 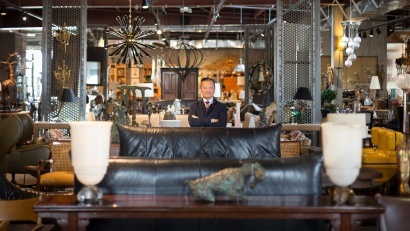 “We’d struck lucky thanks to an architect friend who was working for Rock Townsend. 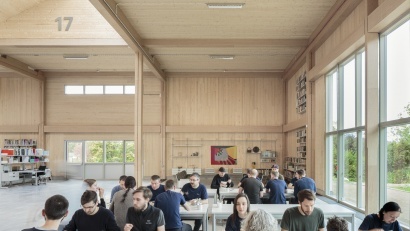 Incorporating a basement studio into the plans was a mandatory part of the planning permission for their new HQ. It was crypted, with very low ceilings and worked perfectly for us jewelers because you only need a very small space. “Back then, there was the assumption that you’d leave university and work solo making bespoke jewelry in gold or silver with diamonds or precious gemstones for clients. This was heralded as ‘the way forward’ but I knew that clearly there were other ways of doing things. I was experimenting with silver and ivory, and knew what I wanted to do wasn’t going to be commercial, so I had to do all I could to make it happen. Caroline Broadhead graduated at a time when things were changing in the industry. She recalls how during the 1940s and 50s, the so-called rules of jewelry stifled the creativity of the wearer: “You weren’t allowed to wear gold and silver together, because that would be seen as tasteless – you could only wear certain rings on certain fingers et cetera. “But then the 1960s happened, and life suddenly went into technicolor. Clothing and jewelry became this means of self-expression, and it was there for the taking. There’s been a development of this because jewelry has broken off into different strands. Fine pieces can be funny and quite playful, as well as subversive. After years of hard work and determination Broadhead’s jewelry was soon being shipped overseas for inclusion in numerous international exhibitions, and then in 2009 she began her teaching position at CSM. Modestly, she insists she couldn’t do the job without her fantastic team, but conceded that under her supervision, the course culture has changed. “There was a predominance of using metal before I came, but since I’ve been here other materials are being taken more seriously. There’s a long way to go before we see a complete shift in attitudes though – plastic is still seen as cheap and disposable, even though it’s oil-based, which is one of the world’s most precious resources. It’s a new material that’s been around for less than 100 years, but it’s had very bad press recently because of the ocean being full of it. “Of course, there are different types of jewelers,“ Broadhead continued. 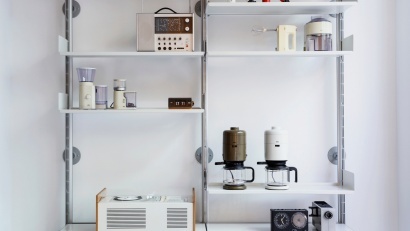 “A classic maker will have an extraordinary attention to detail and a persistence about getting things right. It could be worrying about how a catch works, or how a stone is set. “A piece of jewelry is actually a very difficult thing to design and make. People expect it to be robust, especially if it’s being worn on the hand, wrist or finger. It takes a huge amount of bashing – so even getting it to the point when something doesn’t fall apart is a big hurdle. Alongside her academic position, work on her own designs continues, occupying most evenings, weekends and summer holidays. Because of this, one piece could take months, or a year to finish. Teaching hasn’t stopped Broadhead’s insatiable desire to collaborate. Alongside working with choreographers she sometimes uses photography or drawings as part of her practice. She is currently finishing work for a retrospective show at CODA Museum in Apeldoorn in the Netherlands starting in February, and will then shift her focus to the exhibition ‘Shelf aware’ from 3–14 March, which takes place for the third year running, at the Vitsœ shop in Munich. 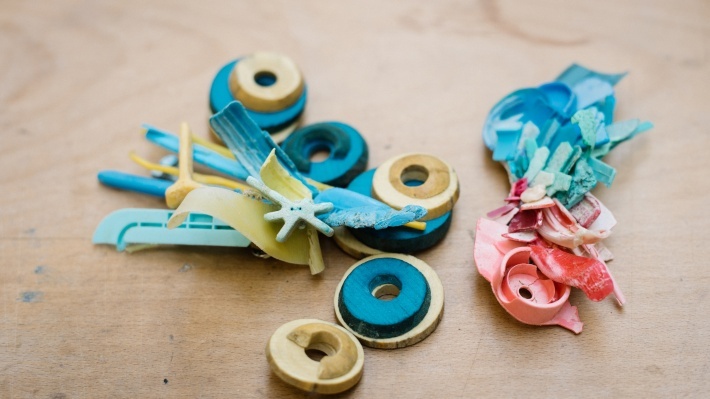 The exhibition comprises work from over 40 staff and students from CSM, including photographs of a special year-two project to explore sustainable materials. 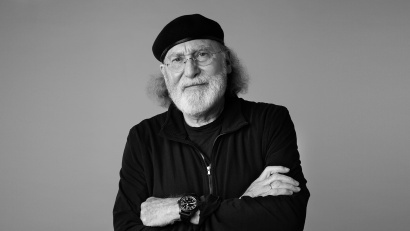 Bob Greenberg talks about how his past informs the future.